Latin America’s biggest annual celebration of cinema closed on Wednesday 8 October by handing out its traditional Première Brasil ‘Redentor’ trophies, which highlight new work by home grown filmmakers, as well as recognising filmmakers in other categories. The Premiere Brazil awards were dominated in the fiction category by Pernambuco director Lírio Ferreira’s (photo) drama Sangue Azul (Blue Blood) that offers a parallel between cinema and circus and speaks of the sea, art and love. The film took home three prizes including Best Feature, Best Director and Best Supporting Actor for Rômulo Braga. Director Ferreira is something of a Festival do Rio veteran having screened previously Árido Mo-vie, Cartola – Música para os olhos and O homem que engarrafava nuvens. 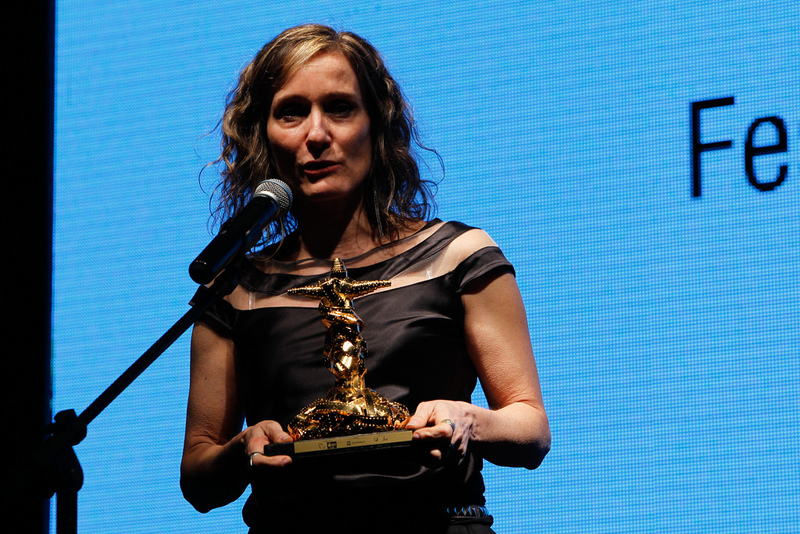 In the feature length documentary competition line up, diretor Theresa Jessouroun’s (photo) À Queima Roupa (Point Blank) which delves into police violence and corruption in the city of Rio over the past twenty years, also picked up the top two prizes in its category, scooping both the Best Film and the festivals new Best Director award for documentaries. There were double wins for Chico Teixeira’s coming-of-age drama Ausência (Absence), which won the Best Actor Award for the child actor Matheus Fagundes, and also received the Special Jury Prize, as well as for Sao Paulo diretor Gregorio Graziosi’s Obra that ended the night with awards for Best Cinematography for DOP André Brandão as well as receiving the FIPRESCI prize as the best Latin American film at the festival. Other prizes given out on the night saw relative newcomer Bianca Joy Porte receive the Best Actress award for her role in director Daniel Aragão’s father and daughter relationship drama Prometo um dia deixar essa cidade (I Swear I’ll Leave This Town), and the Best Supporting Actress award go to Fernanda Rocha for her part in Iberê Carvalho’s O Último Cine Drive-In. Other special awards saw well-known actor Othon Bastos receive an award for his body of work, while earlier in the festival Mexican director and screenwriter Guillermo Arrriaga had been presented with the FIPRESCI Latin American Personality of the Year award. Prizes in the Première Brasil Novos Rumos (New Trends) section were presented to Castanha by Davi Pretto for Best Film, while the Best Short award went to O Bom Comportamento (The Good Behaviour) by Eva Randolph. 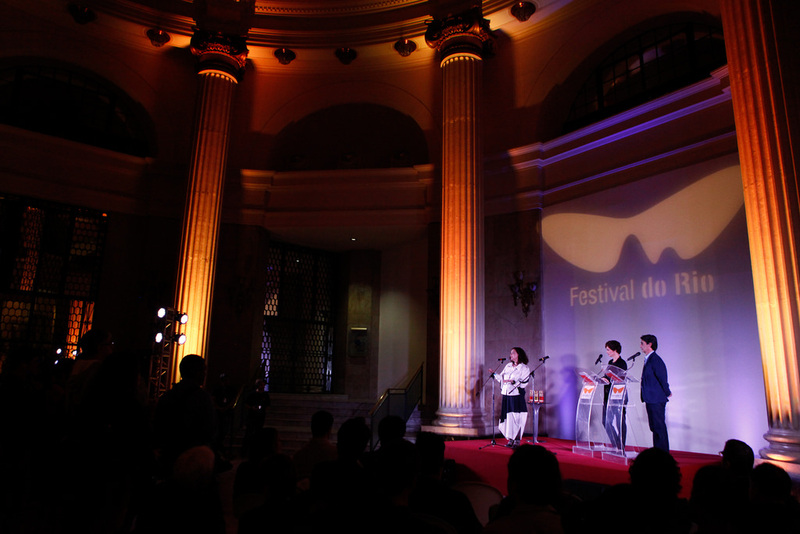 Director Alfeu França received the Special Jury Prize for his 30-minute short A Deusa Branca (The White Goddess). Of the winning features, six received their world premieres at Festival do Rio. Once again the public vote from amongst the cinema going public in Rio was at odds with the official jury. The public voted Fellipe Gamarano Barbos’ Casa Grande (photo) best feature length fiction film and Rodrigo Felha’s Favela Gay, which shows the life of the LGBT community in the favelas of Rio de Janeiro, as best documentary. The public’s favourite short was awarded was to director Andre Amparo’s Max Uber which examines the work of the internationally acclaimed Brazilian visual artist of the same name. In the Generation’s section the audience award went to Frans Weisz’s Finn from Holland. 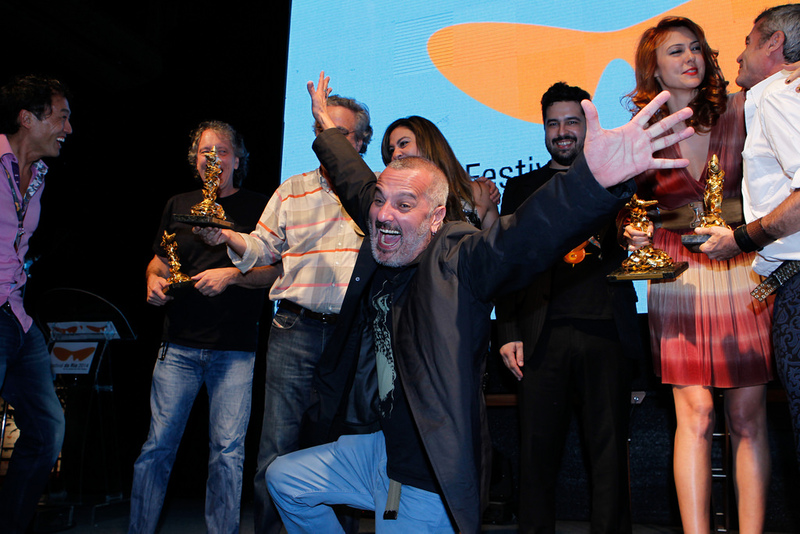 The international FIPRESCI jury made up by Ernesto Diez-Martinez (Mexico), Luiz Zanin (Brazil), and Roni Filgueiras (Brazil) chose Brazilian director Gregorio Graziosi’s Obra as the Best Latin American Film at the festival. Earlier in the event, the festival presented for the first time its new Felix awards, given to recognise the best LGBT films in the festival. Three awards were given in a ceremony at Rio’s prestigious Banco do Brasil cultural centre, CCBB, presented by among others Rio’s re-elected Federal Deputy Jean Wyllys and popular actor Mateus Solano. Reflecting the international reach of the festival, the awards recognized gay filmmaking achievements from Brazil, Australia, Greece, France and Belgium. The winners were for Best Fiction Feature, Xenia, directed by Panos H. Koutras; for Best Documentary De Gravata e Unha Vermelha (Tie and Red Nail), directed by Miriam Chnaiderman; with a Special Jury Prize for 52 Tuesdays, directed by Sophie Hyde. This entry was posted in Rio News and tagged Brazil, Festival do Rio, Rio Olympics by Critical Divide. Bookmark the permalink.